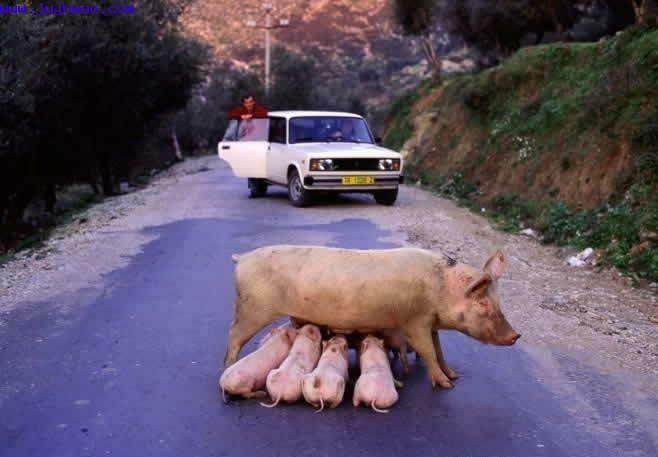 This is just a little reminder for anybody who gets offended by women feeding their babies in public- Hey- at least we are not in the middle of the road! Enjoy- and find a little humor in the everyday struggles of nursing women! Thanks for sharing that picture with us! Haha! My husband and I both had a good laugh at this. I'm appalled that the mother didn't think to use her hooter hider. I don't want to see *that* in public!!! This is lovely! I have to post on FB! My brother in law sent me this photo and he recieved it in a bbc email. maybe try looking up bbc to see.